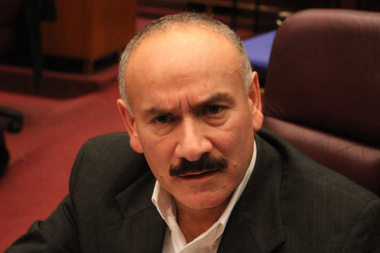 "Resignations are not enough," said Ald. Ariel Reboyras on shake-ups in the Police Department. "We need actual policy changes." BELMONT CRAGIN — Northwest Side aldermen were torn between calling for "actual" change and urging "healing" to begin after Mayor Rahm Emanuel's speech on fallout from the Laquan McDonald case last week. "Work must be done to restore the public trust," said Ald. Ariel Reboyras (30th) in submitting a resolution immediately after the speech calling for hearings on Police Department reforms. "Resignations are not enough," Reboyras said. "Protest is not enough. We need actual policy changes." Pointing to the police dashcam video showing officer Jason Van Dyke shooting the 17-year-old McDonald 16 times in October 2014, Reboyras said, "It has not only spurred anger, and rightfully so, but has also driven protest and forced difficult discussion." Ald. Milly Santiago said, "Chicago has become a national disgrace." Yet Ald. Deb Mell (33rd) urged that the process calm the public rather than rile people up, saying, "It's an emotional time in our city, and I think we're gonna start the healing. Let's start the healing of our city." Mell admitted to being "really moved" by the mayor's speech, and granted that "there are two cities in Chicago," with the South and West sides being far more dangerous, a danger that needs to be addressed. Ald. Carlos Ramirez-Rosa (35th) took much the same line, saying, "Much needs to be done to earn the trust that we deserve," but that it first required a "proper diagnosis," to be arrived at through City Council hearings set for this week and through the mayor's recently announced Task Force on Police Accountability. That wasn't the tack taken by an emotional Ald. Milly Santiago (31st), who said, "Chicago has become a national disgrace during the last two weeks," but added that at the same time it was nothing new in the city. She cast doubt on the ultimate effect of the mayor's task force, given earlier failures at reform. "We need to have a serious discussion about how the police serve and protect," Santiago said. "Are they serving and protecting the civilians, the residents of Chicago, or are they protecting themselves? "Yes, it's time to heal, as some council members have said," she added, "but it won't happen unless we are seriously committed to reform this whole city and the whole system." Ald. Gilbert Villegas (36th) agreed, pointing to the Safer Report on police reforms released a year ago and promptly forgotten. "If you don't implement what the task force recommends, then all we're going to do is waste time again," he said. 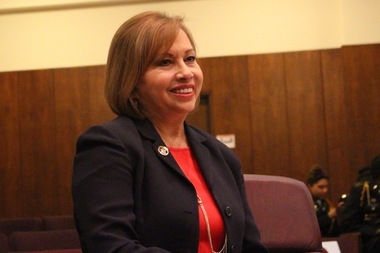 Villegas held out hope for Tuesday's scheduled joint Public Safety and Human Relations Committee meeting, which is expected to address the whole issue of Police Department reforms and the Laquan McDonald case. He added that he wanted to hear not just from police and legal representatives, "but there are also some of the not-for-profits that deal with the impact of police brutality and have recommendations." Villegas granted it's a thorny subject, especially the so-called code of silence within the Department. "I understand the camaraderie," he said. "Believe me, as a Marine Corps veteran, I understand the relationships that are built there between your colleagues. But what's right is right, and what's wrong is wrong." Villegas said it's up to the Council now to join in setting things right. "If we can all get together and talk about solutions," he said, especially those that can be implemented, "I think we'll be successful."